Americans are torn between our culture of law and order, our desire to have secure borders, and our need for the workers whose labor fuels our economy. There is a practical, workable solution that would require neither bigger bureaucracy nor higher taxes, a solution that can unite us on the middle ground. That solution is as old as America itself: Let the free market work. The basis of this solution is simple. Separate the guest workers and immigrants in the debate, and in the legal system, on two completely different and unrelated paths. And use the powerful incentives of the free market system to guarantee the success of the guest worker program. *A safer and more secure America. The Red Card Solution creates a different system for the vast majority merely seeking work in the U.S. In order to allow these workers to enter the U.S. and keep track of them, a new non-citizen work permit is issued. The smart card would contain personal information encoded on the card itself in a microchip, much like a credit card, and be “swiped” in order to cross the border, providing workers the ability to come and go at will, instead of feeling stuck permanently in the U.S.. The Red Card Solution will help secure the border by providing an easy method that allows legal workers to go through a background check and enter the country legally. This will free up the resources and manpower needed to control the border, and eliminate the vast majority of illegal border crossings. The Red Card Solution allows private employment agencies, licensed by the U.S. government, to open offices in foreign countries and issue non-citizen worker permits following a required detailed background check. This program is paid for by applicant fees and businesses that want legal workers — not by taxpayers. 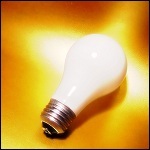 The most powerful motivating force is human self-interest. It is what drives free markets. 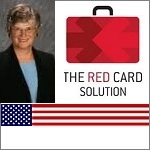 The Red Card Solution uses that principal to create a system that will reduce illegal immigration, control the borders, and strengthen our economy. Once a legal non-citizen worker card becomes available, it will be the first resort of businesses wanting to operate legally and employees who want to come out of the shadows. 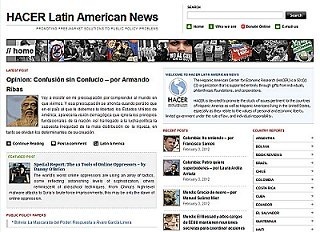 The HACER Weekly News Report USA and the HACER Latin America Weekly News Report have been HACER’s most successful online products. They highlight a minimum of twenty five articles of prestigious columnists on Latin American issues, mostly from a free-market perspective. HACER’s page has an average of 1,500,000 hits and over 60,000 unique visitors per month. The report reaches the e-mail inbox of over 30,000 people in the US and Latin America every week. 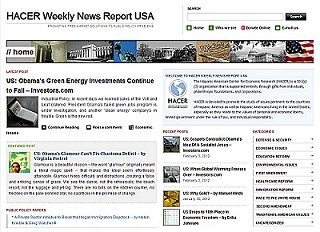 Go to the sidebar on the front page to subscribe to our weekly news report for free. Do you want to submit your material or suggest a new columnist? 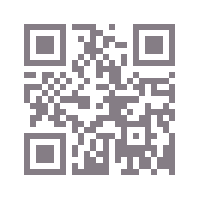 e-mail us. 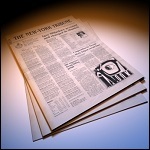 Before sending us your articles, make sure you read the Guidelines for Articles Sumission. 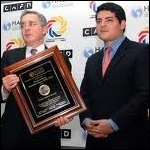 HACER´s Giancarlo Ibárgüen Freedom Award was designed to incentivize work that promotes personal liberty in a way that is consistent with human dignity. It is named after one of the greatest businessmen and promoters of the principles of liberty who has ever existed. 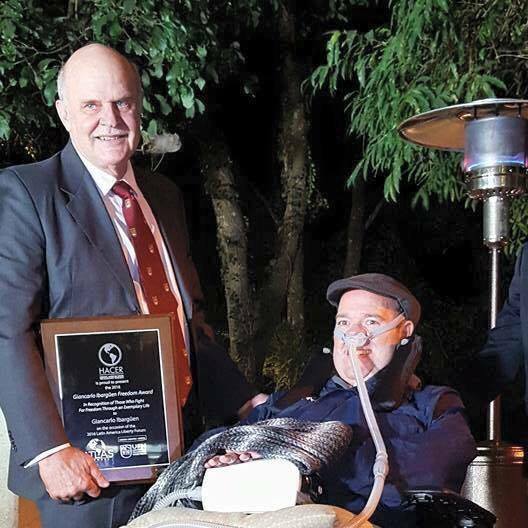 During his time at the Francisco Marroquín University as well as through his contributions to the Liberty Fund, the Mont Pelerin Society, and many other organizations, Giancarlo Ibárgüen has exhibited an unparalleled generosity and an accepting spirit. His openness toward innovation, his penchant for discovery, and his tireless, always optimistic work in the face of many a challenge (in his personal life as much as in his commitment to his work and his country) have made Ibárgüen a role model for our generation and for generations to come. HACER’s Simón Bolívar Award was inspired by the 19th-century Venezuelan military leader known as the ‘libertador’, since he played a key role in Hispanic America’s successful struggle for independence from the Spanish Empire. The prize was developed to encourage those outstanding leaders whose work has successfully promoted security, freedom and democracy in the Americas. HACER’s Alberdi Award was inspired by the 19th-century Argentine intellectual Juan Bautista Alberdi. He will be remembered in the Americas as a champion of freedom for his contributions to the defense of liberty and for outlining the Argentine constitution in 1853. The prize was developed to encourage and reward writers, essayists and commentators whose published works promote the institutions of a free society in the Americas: limited government, rule of law fostered by an independent judiciary, protection of private property, free markets, free speech, and sound science. The prize, a total of USD $2,000, will be awarded every year. America was founded by individuals who were willing to risk their life for what they believed in. They not only possessed the courage to act, they possessed the character to know right from wrong. The disunity we see all around us at home and on foreign shores can only be solved when enough leaders stand up for what is right and enough people follow them because they are people of true character. 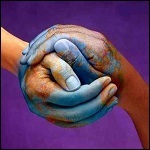 “United We Stand, Divided We Fall” is about the importance of shared values and efforts. HACER and its network of allies truly embody the core values of personal and economic liberty, limited government under the rule of law, and individual responsibility required for making the Americas a better place. 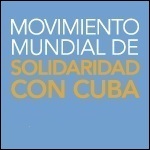 HACER endorses all efforts of the Global Cuba Solidarity Movement. Global Cuba Solidarity Day is a time for the world to express its support to the Cuban people. As the people of Cuba continue to endure human rights abuses and restrictions on individual freedoms it is important for the international community to show that we are aware of these serious issues and support the Cuban people in their struggle for freedom. On May 20, please join us as we raise our voices and show that we are concerned about the recent deaths of Cuban dissidents, as well as the constant harassment of bloggers and independent journalists, the repression against the Ladies in White and the frequent violations of basic human rights at the hands of the Cuban regime. 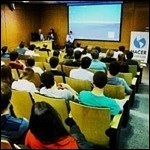 In this project, developed by HACER at the request of the Atlas Economic Research Foundation and Libertad y Desarrollo from Chile, we created a news blog loaded with a large selection of articles in English on the economic transformation of Chile, a benchmark of success for the rest of the developing world to aspire, study, and hopefully emulate. We translated the film’s script into Spanish and added the subtitles electronically to the documentary film “Return to the Gulag” at the request of the Freda Utley Foundation for the Latin American audience. The film depicts Stalin’s communist regime, the one that sent 18 million people to the concentration camps that were part of the Soviet Gulag system. In the 30 minutes documentary film you will see Jon Basil Utley’s search for his father Arkadi Berdichevsky.